A local production of “Love, Loss and What I Wore” by Nora and Delia Ephron returns to Indianapolis, now playing at Theatre on the Square (the first production was a couple of years back at the Phoenix) and is, again, a funny and heartwarming little show about how our wardrobe links to our memories. 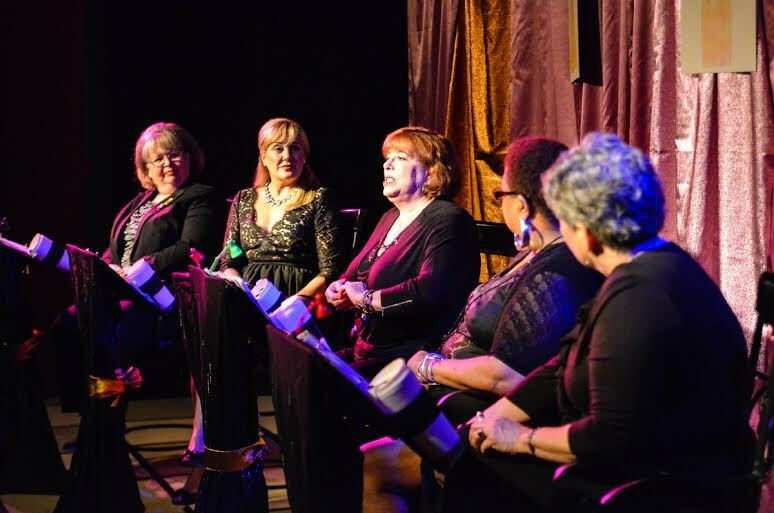 The play is mostly a set of monologues performed by five women. In the center is Adrienne Reiswerg as Gingy, the central recurring character who has lived a full life and, to remember it, has made drawings of the various dresses and outfits she has worn along the way. As stage manager Stacy Ricks hangs the drawings up behind her, Gingy relates the story behind each garment. In addition, Rhoda Ludy, Miki Mathiodakis, Lucinda Phillips and Bridget Schlebecker portray numerous characters – mothers, daughters, sisters, fiances – who remember boldy and fondly a certain dress, or bra, or shoes, or even finding a unique purse. The delivery brings out a lot of laughs – “You’re not wearing that, are you?” – as well as a few tender moments. It will no doubt also stir up some memories of your own favorite item. You don’t have to be female or fashion-obsessed to love this show. The well-crafted script is in very able hands on the TOTS Second Stage. But if clothes are your thing, you simply have to see it. This production runs through Aug. 1 at 627 Massachusetts Ave.; call 317-685-8687.